Family Life, Family Love! The warmhearted story of the four March sisters: Meg, Jo, Beth, and Amy growing up in 19th century America. Their happy family life is disturbed when their father leaves for the Civil War, and shaken further when mother must leave to nurse their wounded father back to health. But family love and loyalty keeps them together. As the years pass the girls become women and learn more about life and love. 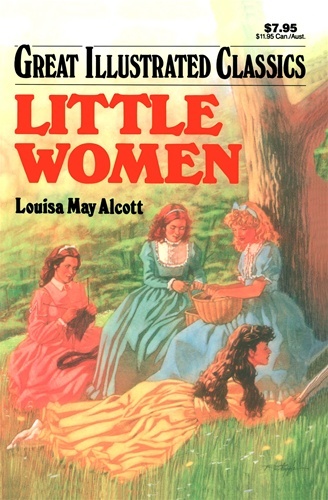 Louisa May Alcott's timeless classic shows the joys of growing up in a warm and loving family.